25 million children in the European Union (EU) are at risk of poverty or social exclusion – that isone child in every four. Most of these children grow up in poor families, who are increasingly struggling to provide them with a decent life. This is a social crime in an EU that prides itself on its social model, an attack on fundamental rights and a failure to invest in people and in our future. Can the EU afford the price? 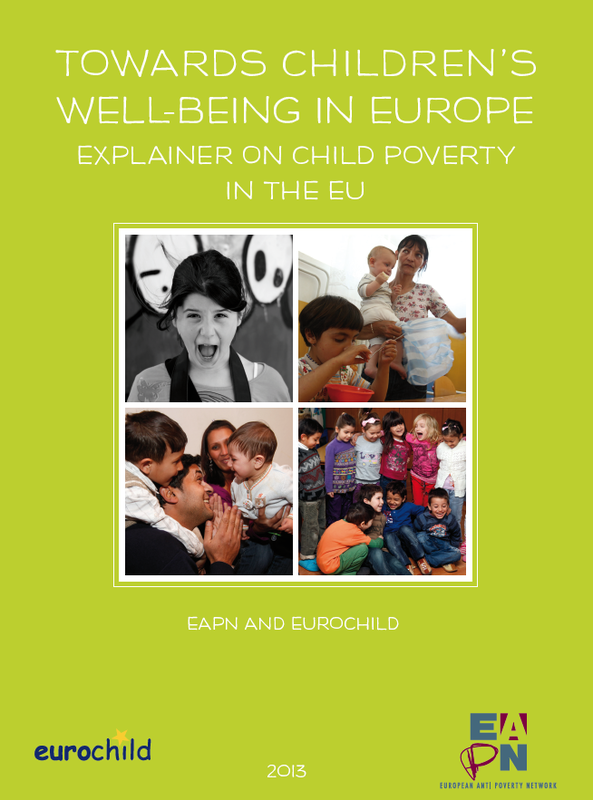 THe publication is also available in French – Slovakian – Spanish – Estonian – Macedonian –Polish – Italian (The Italian version is a translation of the EAPN explainer of the same name with a last chapter added on the Italian stuation. The publication is a joint effort of Fondazione Albero della Vita (Italian member of Eurochhild) and CILAP EAPN Italia). EAPN already issued a series of 3 explainers on Poverty and Inequality in the EU (2009), on Adequacy of Minimum Income in the EU (2010) and on Wealth, Inequality and Social Polarisation in the EU (2011).